Today Smart Communications, revealed the faces and lineup of "Smart Elite" of University Athletic Association of the Philippines (UAAP). The batch of young sports ambassadors known as "Smart Elite", secondary to the National Collegiate Athletics Association (NCAA), story HERE. 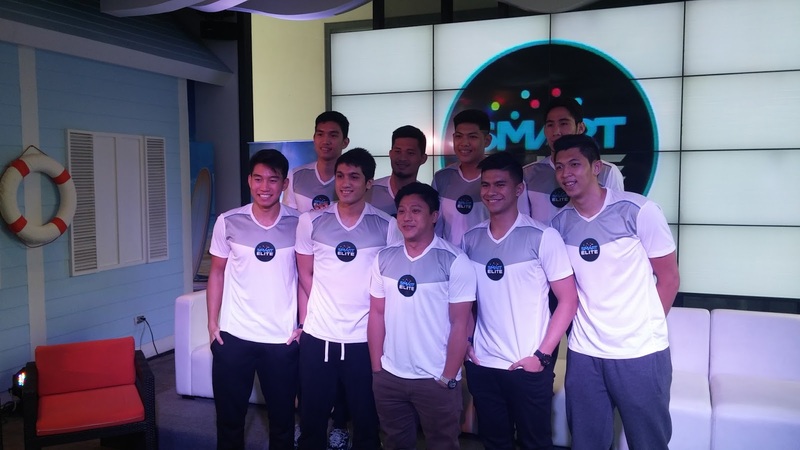 Smart Elite UAAP is composed of Kiefer Raven of Ateneo de Manila University, Kevin Ferrer of University of Santo Tomas, Mark Belo of Far Eastern University, Gelo Alolino of National University, Prince Rivero De La Salle University, Von Pessumal of Ateneo, Jett Manuel of University of the Philippines, Dawn Ochea of Adamson University and Paul Varilla of University of the East. UAAP Season 78 will open on September 5 and the "Smart Elite" members will reign the court as they play on their respective schools. Also they will encourage basketball lovers to have a #SmartLife like for example listening music from Spinnr while waiting for the game to start and other entertainment streaming through your portable gadgets. SMART, leaded by its chairman Manny V. Pangilinan is the country's foremost sports patrons, which also supporting the Gilas Pilipinas, Sinag Pilipinas and the Azkals.